please select a size for the stockings. 2 (39-42) size is currently out of stock. 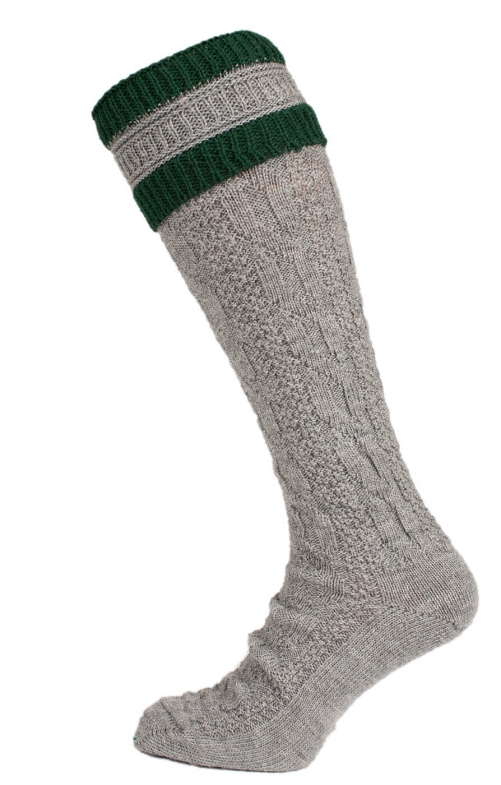 Men’s traditional grey and green stripped knee-length socks. These stylish and comfortable grey socks come with dark green stripes at the top that give them an extra hint of style. Created from a comfortable blend of wool with acrylic and polyamide, they provide extra warmth and comfort during occasions such as Oktoberfest and can be worn with traditional Lederhosen. Buen diseño,la calidad no es tan buena.